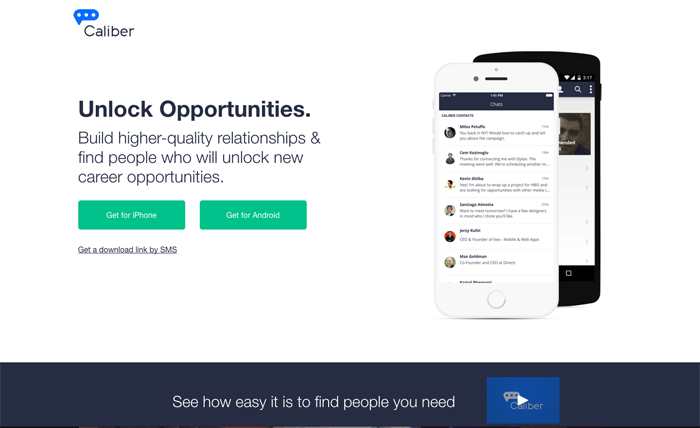 Description: Caliber is a phone app that lets you meet other people in your industry or profession, and connect with them to chat or exchange information. Sort of like all those apps for dating on your phone, but instead it's for your career. 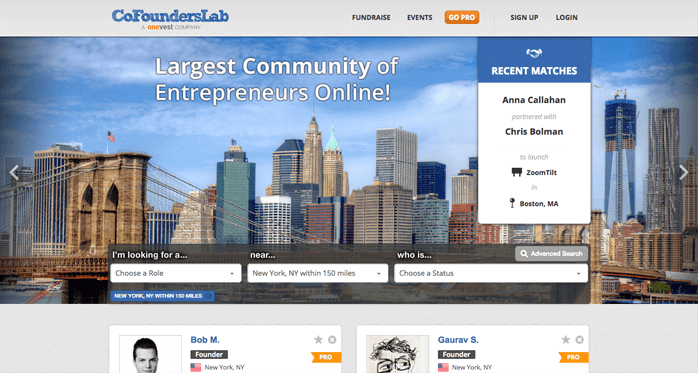 Description: The purpose of CoFoundersLab is to help you connect with others looking to collaborate on a Startup. 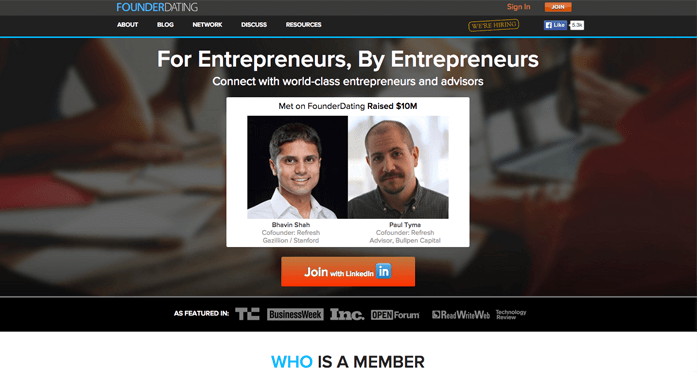 Description: If you need to find co-founders and are looking to do it online, FounderDating is a site set up to help you find that CMO or technical co-founder of your dreams. 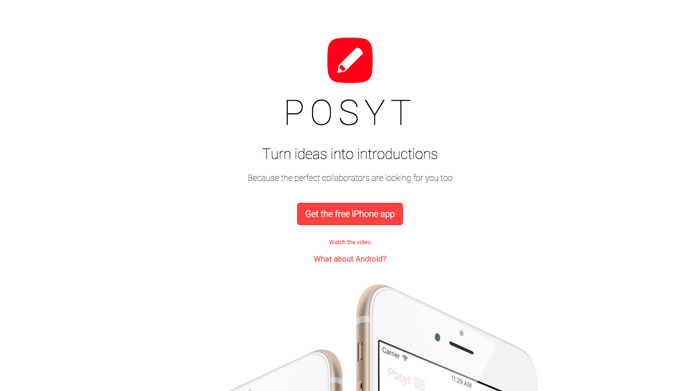 Description: Anonymously share your ideas. Swipe through related ideas. Chat when it's mutual. Meet all the people you ought to know.